....The performances of great early climbers such as Alfredo Binda, Fausto Coppi and Charley Gaul continued to increase the popularity of the major tours. These events made climbs such as the Tourmalet and L’Alpe d’Huez in France and Stelvio in Italy as well known to cycling fans as the Daytona Speedway or Yankee Stadium are to U.S. racing and baseball fans respectively. The mountains allowed bike races to become truly great as the event rose beyond the personal concerns of the cyclists to reflect life as a whole. Today hill climbing is more popular than ever and within multi-stage races those with hilltop finishes are usually the most anticipated and best attended stages of the race. Racing fans know that hills offer the best opportunity to view the drama within the peloton as it struggles through the most difficult and important element in any race. 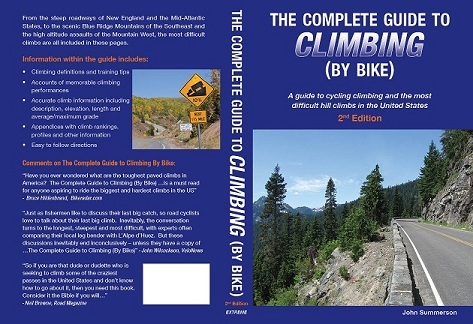 Climbing adds the mythic quality of overcoming obstacles that continues to be associated with the major cycling tours and which has produced many memorable moments. Ascending difficult hills is about struggle and perseverance and it is these aspects that have made conquering the mountains the heart and soul of cycling. A monster climb, Powder Mountain will slam you along long stretches of double digit grade over its 2nd half. In fact, it may contain the most difficult finish of any U.S hill. A tale of two climbs in a sense, its start is along moderate grade through a mountain neighborhood. Soon however, as the houses recede, the grade rears up and bites you. The road enters a narrow canyon and the slope goes ballistic. Hitting double digit for almost all of the remainder of the ascent, the last 3 miles of this one average over 13% grade. Near the top the slope eases just a bit and the climb ends as the pavement ends at a ski area. Powder Mountain may be the fastest descent in the U.S. as well. Directions - From Eden, UT near Ogden head north on Route 162 for a short distance to a 4 way stop (Routes 162 and 158). From that junction head east on Route 158 (toward Wolf Creek) for 1.2 miles to Willowbrook Lane on the left to begin the listed climb. Mount Equinox in southwest Vermont is one of the most difficult climbs on earth. Unfortunately it is open to bikes only during the annual race on its slopes. Steep from the start, multiple ramps of 9-12% greet you as you begin up the hill, soon to ride within woods. Within its 2nd mile you encounter a short flat and then a small descent. Soon however the evil side of Equinox returns as you run into an extended double digit ramp that contains the maximum grade on the hill. A few tight switchbacks carry you higher up the mountain. After what seems like an eternity, the road opens up just over 4 miles in as the grade eases as you ride along a hogback with views. From here the grade slowly ramps back up to double digit as the trees close in again along with switchbacks. A final straight section of torture brings you to climb's end at a small parking area. Directions - From Manchester, VT, head south on Route 7 for several miles. The Mount Equinox toll road will be on your right and the listed climb begins just beyond the toll gate. 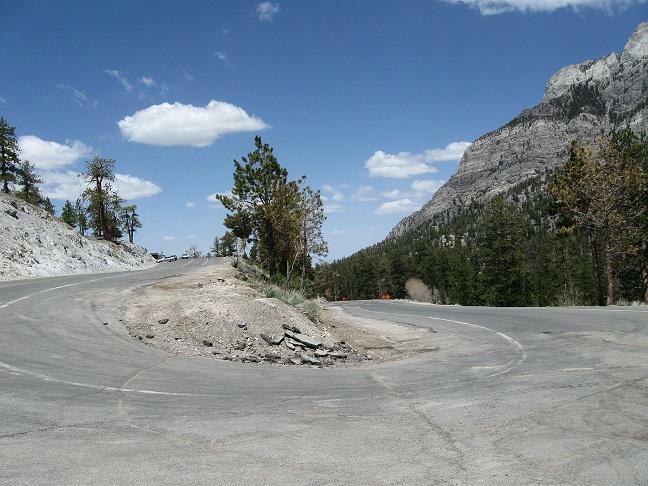 One of the most difficult climbs in the United States and perhaps the most difficult in Nevada, Lee Canyon (Route 156) pulls away from Highway 95 within a wide valley. 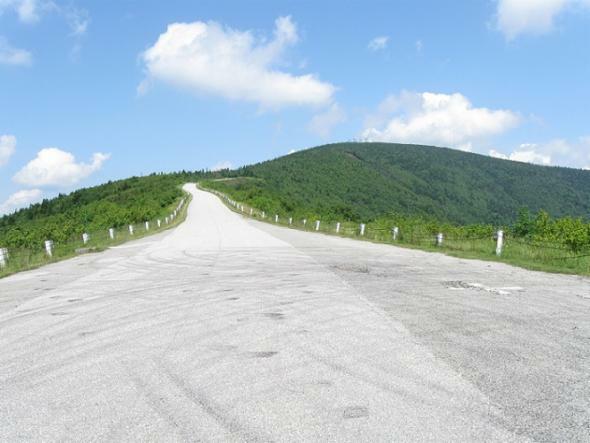 The grade is moderate and there are views of big mountains in front of you. As you ride west the grade remains fairly steady and you are exposed to the sun. Beyond 10 miles of climbing the road begins to twist a bit which is a welcome break. Soon the only descent on the hill appears and it is stout but short. Climbing then resumes over moderate grade. Continue straight at the junction with Route 158 on the left. The grade eases a bit here and a few signs of civilization begin to appears as you begin to ride through stands of big trees and with sharp mountain peaks in front of you. Near the very top are a few switchbacks and the climb ends where the pavement ends at a small parking area for a ski station. 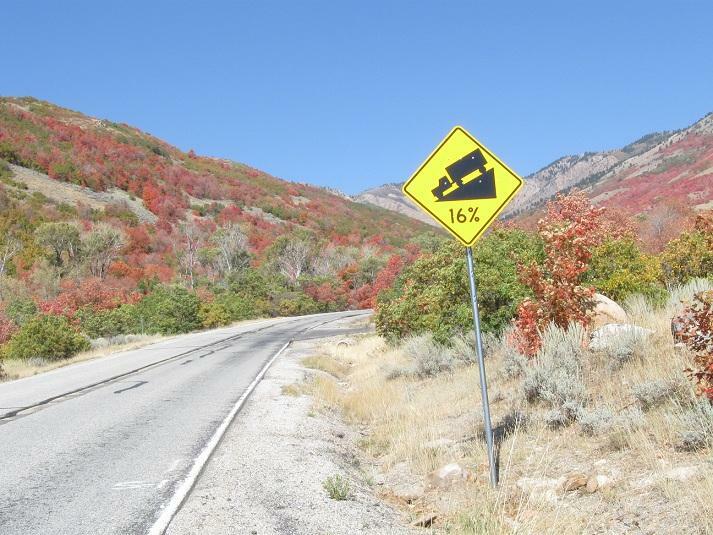 Hang on for the descent of Lee Canyon as it is one of the quickest in the US. Directions - From Las Vegas, NV head north on Route 95, shortly passing the road to Kyle Canyon on the left. From this junction continue north on 9 for ~14 miles to Route 156 (left) where the climb begins.